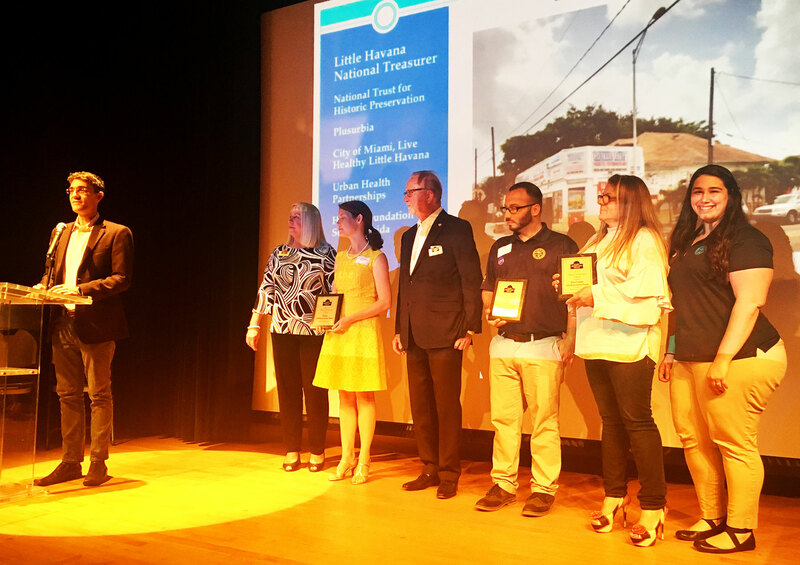 MIAMI – PlusUrbia Design, the National Trust for Historic Preservation, Live Healthy Little Havana, and Urban Health Partnerships have been awarded the Dade Heritage Trust’s Annual Preservation Award for their community-driven master planning work in Little Havana. The Coconut Grove-based Urban Design firm will be honored at the Trust’s annual meeting this Thursday April 6. Founded in 1972, DHT is Miami-Dade County’s largest preservation organization. 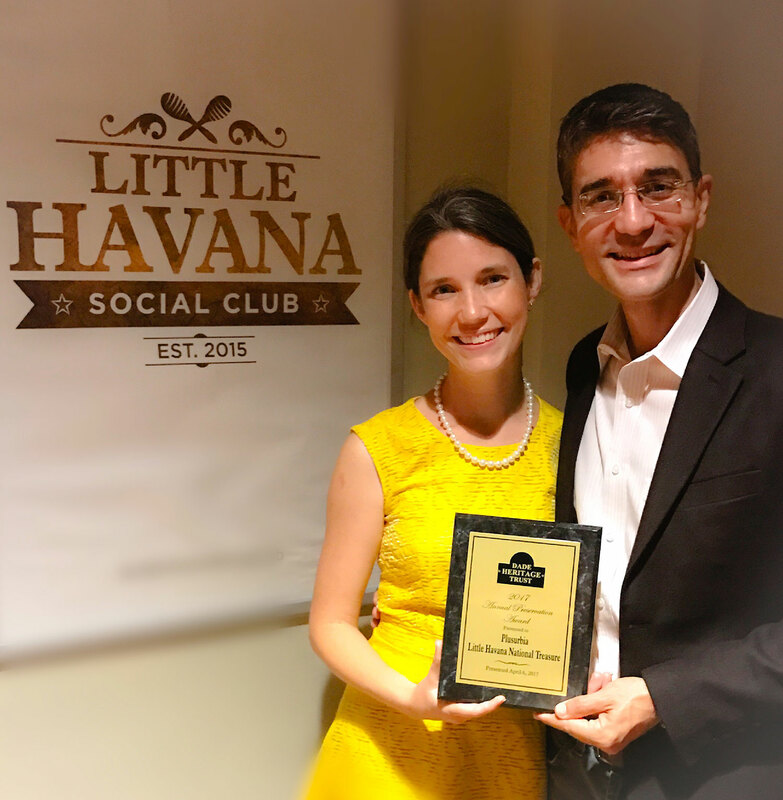 The team is leading a master planning effort to improve and enhance Little Havana as a healthy community through a pioneering approach that integrates historic preservation with contextual urban infill to spark economic development, vibrancy and healthy living in authentic towns, neighborhoods and main streets. Development pressures make this a crucial time for a masterplan that will shape the evolution of Little Havana and how it is served by walkability, transit, park/open space, affordable/attainable housing, local jobs and healthy design. Little Havana is a culturally-rich neighborhood that is very important to both Miami and the nation. 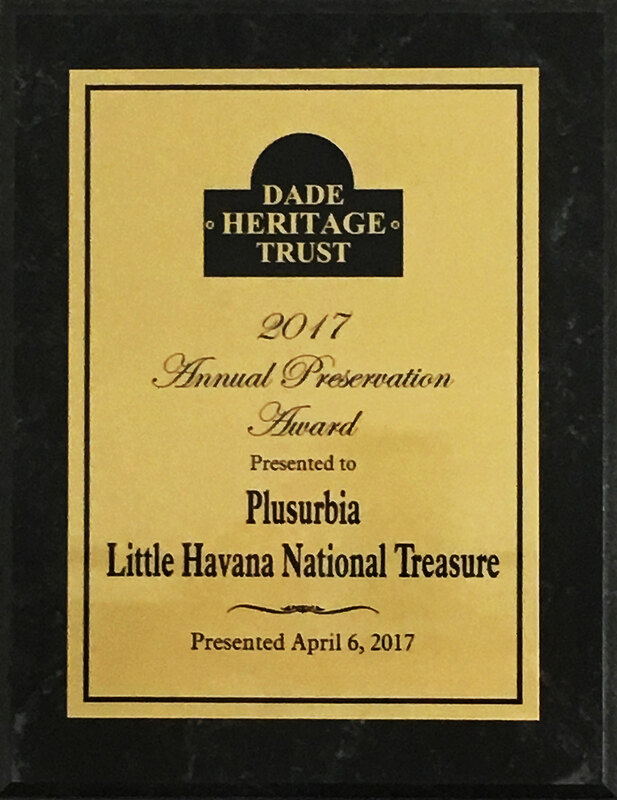 PlusUrbia’s partnership with key nonprofits will gather an unprecedented amount of input from people who live and work in Little Havana. Diverse input will inspire design guidelines to protect and enhance the culture, health, affordability and authenticity of Little Havana for future generations.